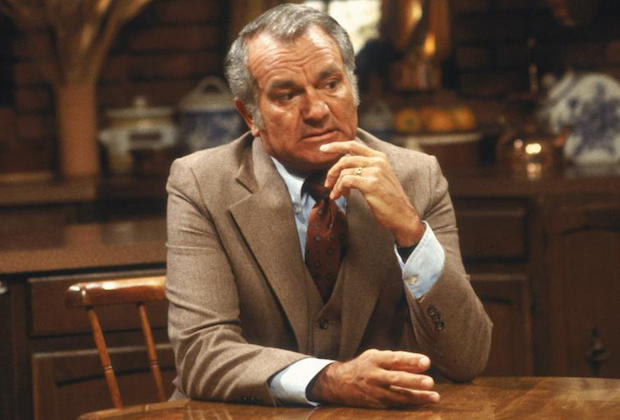 Robert Mandan, the silver-haired lothario Chester Tate on Soap (1977-1981), has died at 86, ExtraTV reports. According to THR, a friend reported his death occurred on April 29 following a long illness. Mandan, who often played supercilious jerks, made his TV debut 60 years ago, working steadily in the medium, mostly in guest spots on shows like The Love Boat (1978-1987). Aside from Soap, exception included recurring roles on The Doctors (1963), Caribe (1975), Private Benjamin (1982-1983), and Three's a Crowd (1984-1985). On Broadway, he appeared in the original 1970 production of Applause. In the movies, he co-starred with Dolly Parton (b, 1946) in The Best Little Whorehouse in Texas (1982). In more recent years, Mandan has stayed active in local theater. He is survived by his wife, Sherry.